The delusions journal block is a custom designed acrylic block ideal for stamping with unmounted stamps. Easily create decorative borders and edges on journal pages and other paper craft projects using the wavy edge. 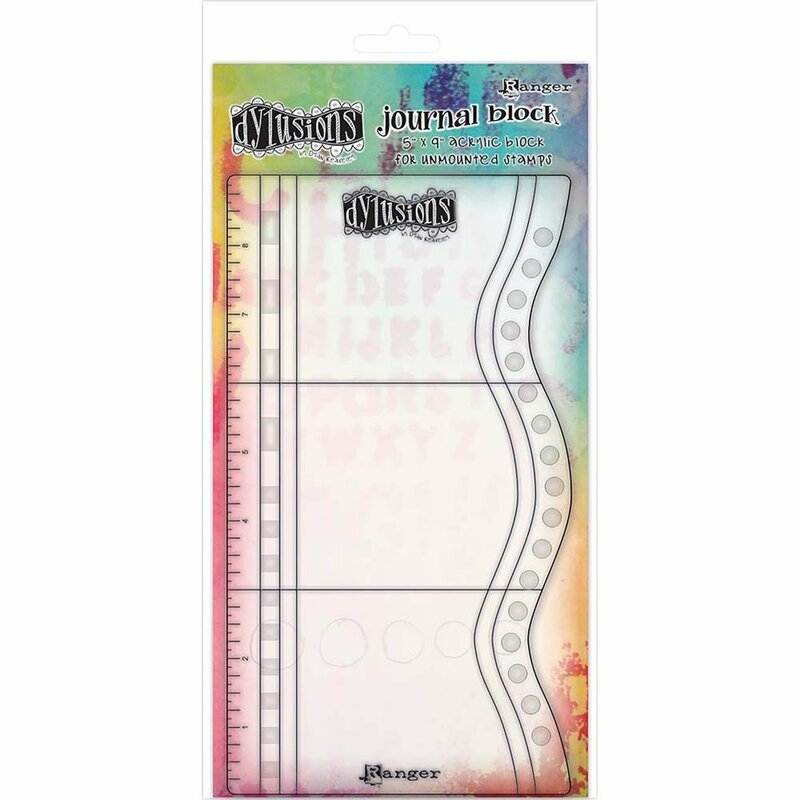 The die-cut rectangles and circles make it simple to add doodled embellishments, frames and borders. Contains one 5x9 inch acrylic block.